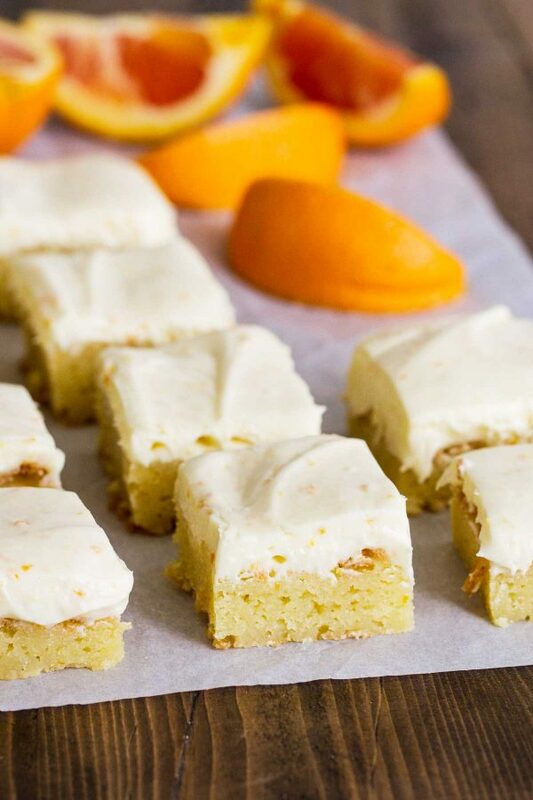 If you love orange, you’ll love this twist on the traditional blondies recipe! 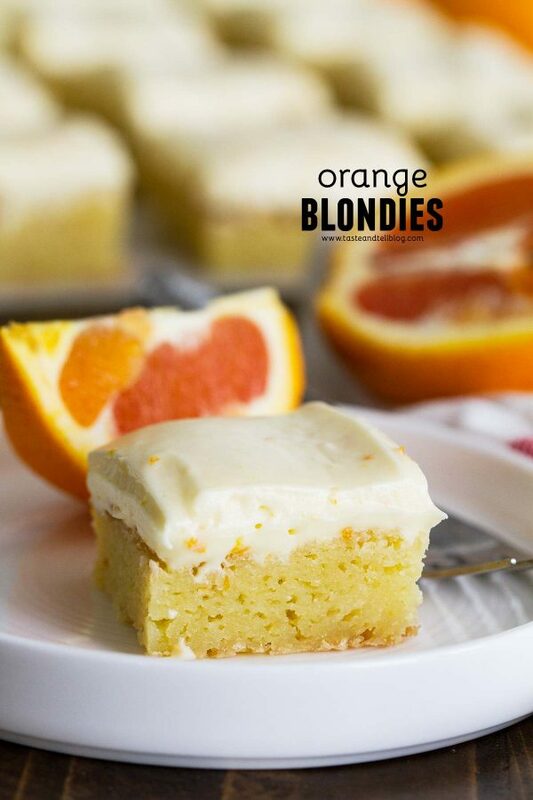 Orange flavors go throughout both the blondie and the creamy orange cream cheese frosting. These are divine straight from the refrigerator! It’s funny how my mind remembers food. 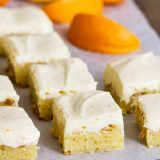 I first made this Orange Blondies recipe back in 2007. But recently, I had a craving for them again. After 11 years. It’s crazy that I can’t remember what I did last Tuesday, but I can remember this blondies recipe from 11 years ago. 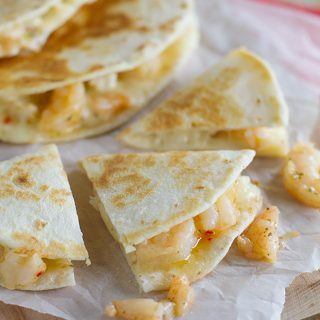 I originally made these after seeing Paula Deen make them on The Food Network. 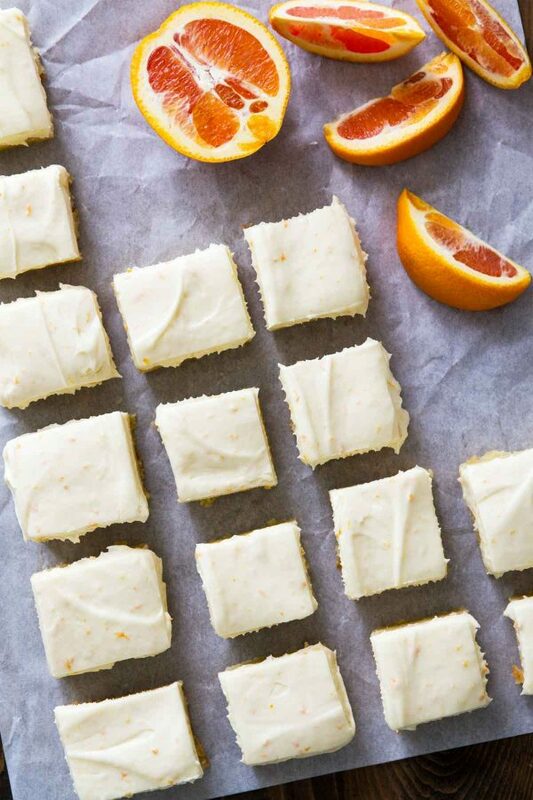 She calls them Orange Brownies, but they are not brownies. So I couldn’t stick with that name – I had to change them over to blondies. This bar recipe is so, so good, though – no matter what you call them. 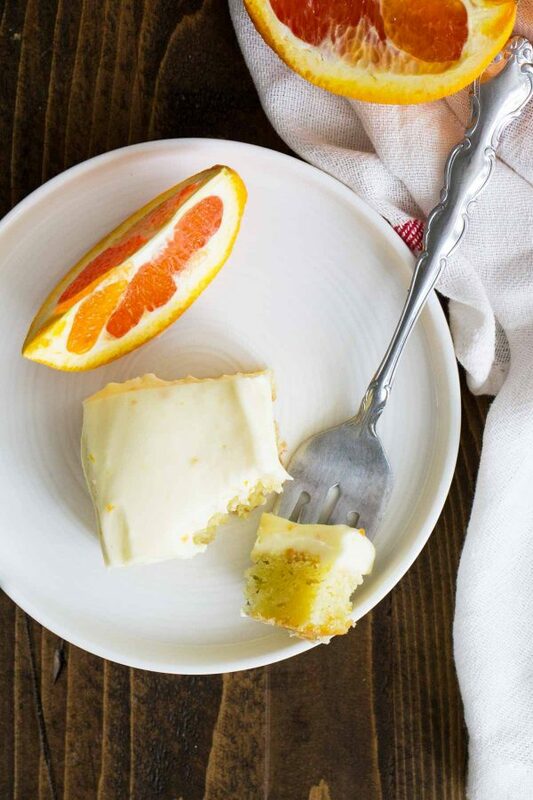 A soft, sweet orange flavored blondie, topped with an irresistible cream cheese frosting. My favorite way to eat these is straight from the refrigerator, when they are nice and cold. So, so good!! A blondie is essentially a brownie without the chocolate. No chocolate means no brown, so that is where it gets the title of a blondie. You still get that soft, chewy, sweet bar, just minus the chocolate. These blondies are nice and moist and the cream cheese frosting pairs with them perfectly. Preheat your oven and spray a baking pan with nonstick cooking spray. In a large bowl, combine flour, sugar and salt. Add butter, eggs, orange extract, and orange zest. Beat these all together until they are well combined. Pour this batter into the pan you prepared earlier and bake until a tester inserted in the center comes out clean. 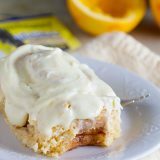 Once the blondies have baked and are cool, you can make the cream cheese frosting by beating cream cheese and butter together. Gradually beat in some powdered sugar, then add some orange juice and orange zest. Spread that frosting on the blondies. Store them in the refrigerator, and make sure you try one when they are cold! 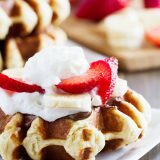 You can use a stand mixer or a hand mixer for this recipe. 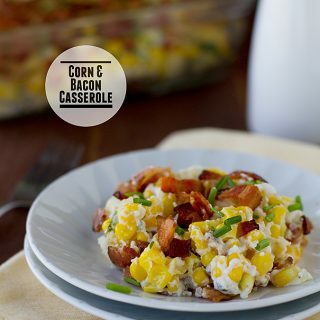 You’ll need a 9×13-inch baking dish – an inexpensive glass dish works great. I love using an offset spatula for spreading the frosting. Heat oven to 350ºF. 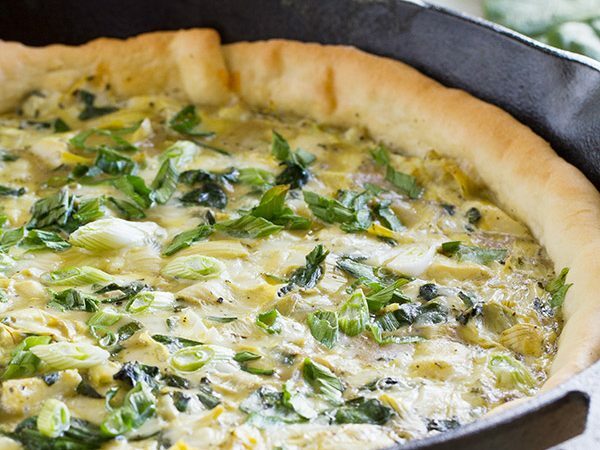 Spray a 9×13-inch baking dish with nonstick cooking spray. 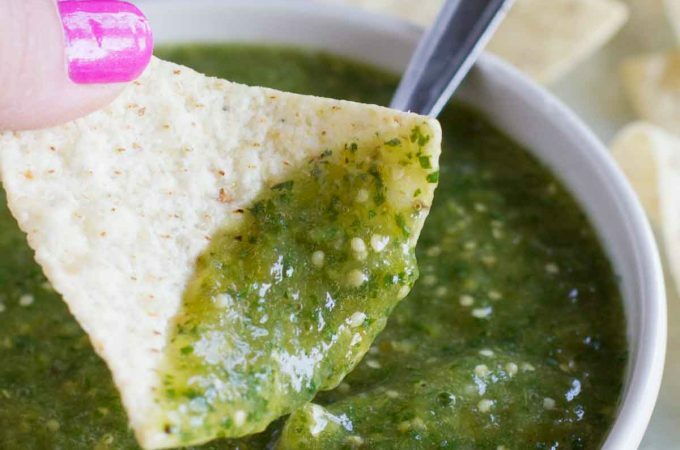 Stir together the flour, sugar and salt in a large bowl or the bowl of a stand mixer. Add the butter, eggs, orange extract and orange zest. Beat until well blended. Pour the batter into the prepared pan and bake until a tester inserted in the center comes out mostly clean, about 30 minutes. Remove and let cool completely. In a large bowl or the bowl of a stand mixer, whip the cream cheese and the butter together. Gradually beat in the powdered sugar until it is completely combined and smooth. Beat in the orange zest and orange juice. Spread the frosting over the blondies. I like these best when they are still cold, straight from the refrigerator. 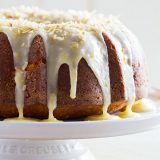 Oh you did so well going with the cream cheese frosting, it’s irresistable! Ah, bless Paula and her heavy hand with butter and sugar. Those look fabulous! Hope you become Browniebabe this month. These blondies are absolutely gorgeous! I hope you win this month’s round of BrownieBabe! 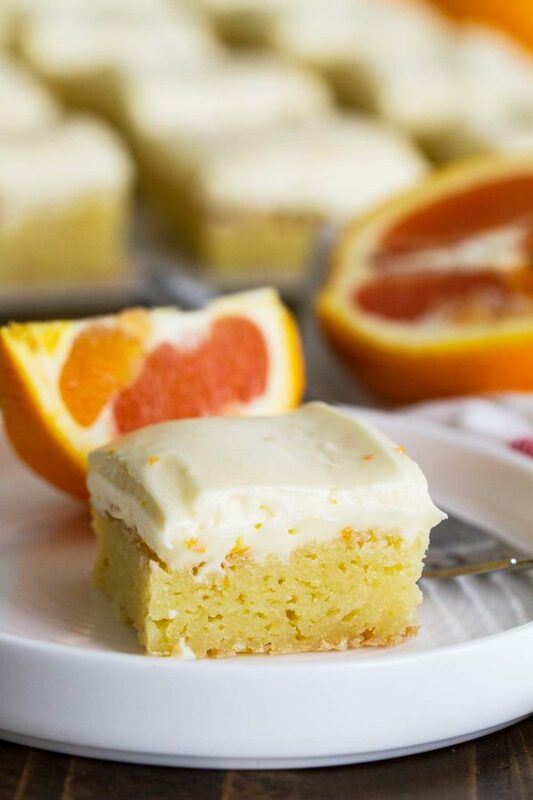 I’m a total sucker for citrus flavors, so your blondies are a girl after my own heart! Oh your blondies look fab! And you got it my dear Paula – I love that woman! They look irrestible…I want to reach through the screen and take one! I love Paula but haven’t tried any of her recipes. I may have to now. Amen! I want me one of those aprons too, but I guess in the end I’m not really a loser cause I get to eat the brownies I’ve made, right? I think you definitly stand a chance! Good choice on going with the cream cheese rather than the glaze, I would have done the same thing! I have these bookmarked and had forgotten all about them, but oh my they look awesome! I really will have to give them a whirl. Oh I bet those are mighty tasty. These look really good. I like the combination of orange and cream cheese. I just feel like grabbing one of those…simply irresistible. Paula Deen haha, I love that woman! 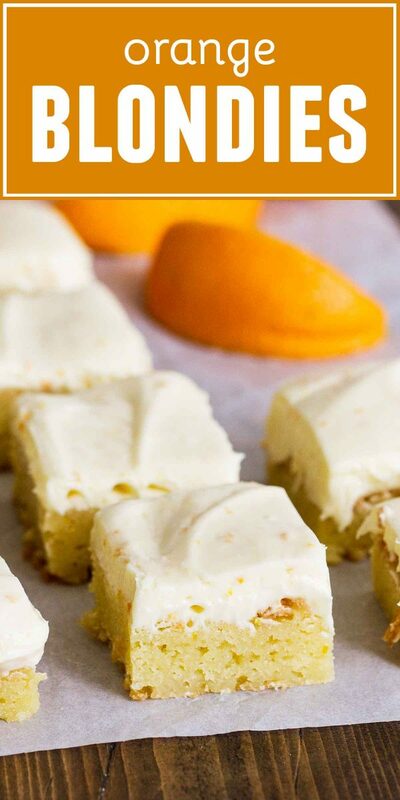 I think my favorite part about your awesome brownies is that you tied the orange rind into adorable little knots. I’m going to link to you right now, if you don’t mind! 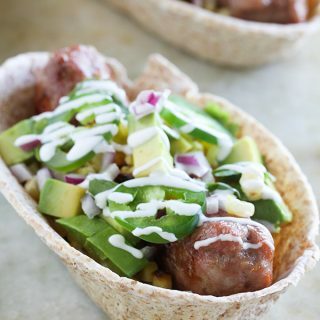 These sound fabulous! Next I think you should figure out a way to combine dark, fudgy chocolate with all this orange goodness. Something like that might even be illegal in certain states. These look really great. I will definitely make them as I love orange anything. Those look fantastic! I hope you do win…keep entering! I love these recipes. 100% Paula Dean… how can you go wrong with that? I’m looking forward to trying these. They look wonderful and good choice on the frosting! These would be a great change from traditional brownies! my mouth is watering as i write this! i’m having some friends over for dessert this friday and i just figured out what else to add to the menu! btw, is orange extract easily found in grocery stores? i’ve seen lemon but not sure about the orange. Thank-you. YAY, I found it! I’m printing out the recipe. Thanks for letting me know about these! @Jenner, that sounds great. 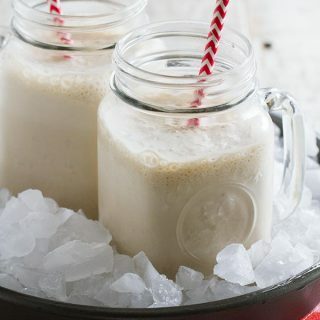 I’m having a craving and may have to make some of these up now! My orange brownies looked and tasted like a pound cake rather than brownies. They were not gooey like brownies but they tasted great. Does anyone known of a” brownie” recipe that does not taste like chocolate?